Get ready for a mouthwatering fast food game that will tingle your palate! Burger isn’t just food; it’s the official video game by Magma Mobile! You play as a prominent fry cook who must serve as many clients as possible within the given time. Burger brings the classic time management game to modern-day gaming with simple mechanics and challenging levels that will test your micromanagement skills! 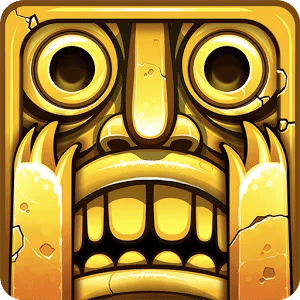 All in all, there are over 300 levels, meaning there is no shortage for replayability here. You must craft the client’s exact order and to do so will require attention. Make sure you stack the right ingredients because if you don’t, you’ll waste food! Fortunately, there are guides that pop up to help you from time to time. The earlier you serve the order, the higher your tip. Take note, the game keeps adding more and newer ingredients into the mix as you keep playing. Pickles, lettuce, tomatoes, and more cheese become part of your daily routine in the game. And remember, make sure your order is right. One wrong topping and the burger will go to the trash bin. That would just waste your time and energy too with the risk of losing a star on that level. Furthermore, you get to serve plenty of side dishes and fixins too! French fries, onion rings, tortilla chips, muffins, and ice cream add more to the already-challenging game format. Candies are also available too in case a customer is waiting too long for the order and you need a way to keep them waiting a bit longer. 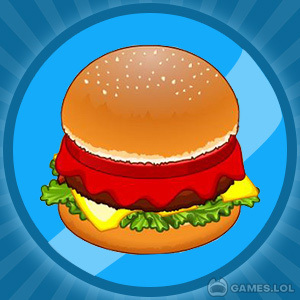 If you think you have what it takes to be the best burger artiste, play Burger today on PC! Download the game here on Games.lol! Then head on over to our Casual Games page for fun titles like Cooking Fever and Cafeland – World Kitchen!